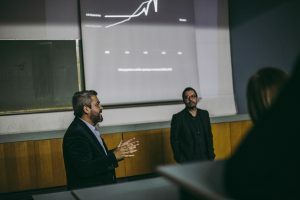 Harun Badakhshi and Gunnar Hartmann at the Faculty of Architecture of the University of Skopje in Macedonia. Exchanging ideas and thoughts on city/urbanisation and their traceable impact on health/healthcare and the evident correlation with the environment. 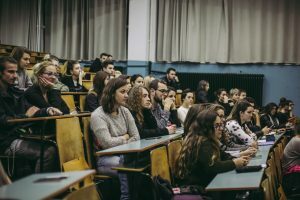 Thanks for the cordial hospitality, the intensive, warm, and agreeable discussion with the dean of the faculty Ognen Marina, Jovan Ivanovski, Slobodan Velevski, Marija Mano Velevska, Bojan Karanakov, and their students.